FLATDEV 2016 official highlights. 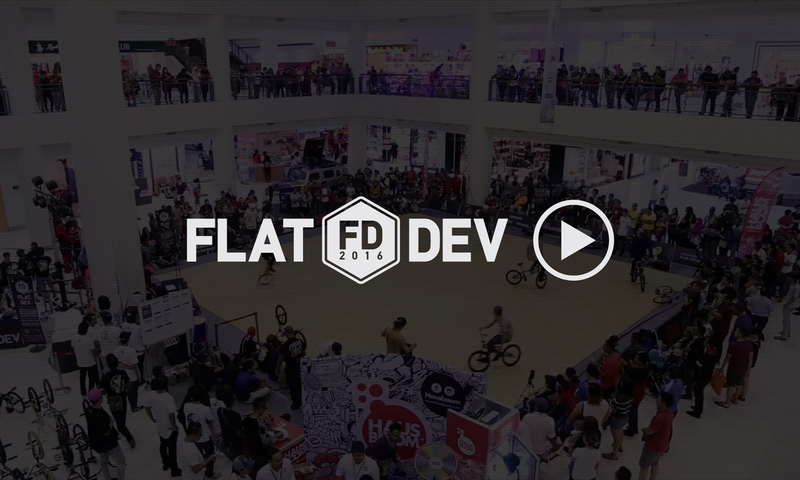 Watch the best moments of FLATDEV 2016! FLATDEV 2016 WAS A SUCCESS! FLATDEV 2016 has finally ended with a success! Mathias Dandois from France took the 1st Place, Jean William Prevost from Canada, 2nd Place and Japanese Moto Sasaki took the 3rd Place. Click here to view the full results of all classes. Yes, you read it right. The youngest rider in Pro Class this year is 10 year old boy from Japan, Minato Sato. This is going to be exciting! *Learn more about Minato Sato here Watch Minato’s latest video, his trip recent trip to Germany. Tight-fast spinning, hard-quick switches, that’s Moto Sasaki’s riding style. Yeap, Moto will be back at FLATdev this year! Will Moto hold the 2013 Champion title? Well, you have to come and find it out yourself. Brace yourself, Viki Gomez is coming to FLATdev 2016! The Spanish rider has registered and we can’t wait to see him here in action. Let’s refresh some of the highlights from our last event. Here you go, FLATdev 2013 3rd Place Pro Class winner, Pakhpum ‘Toon’ Poosa Art from Thailand. We really hope to see Toon back at this year FLATdev.